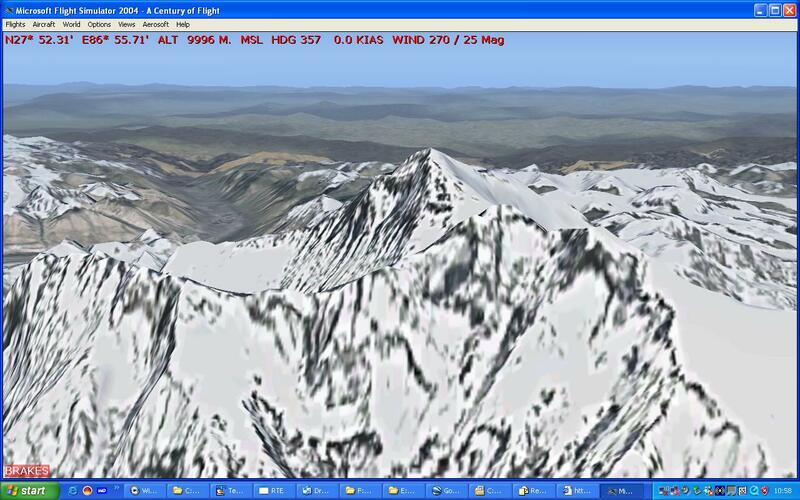 The first shot is from Microsoft Virtual Earth, from the south-south-west. Lhotse is in the foreground to the right; Everest is behind it and to its left. Viewers who are familiar with the local topography should not look at it for too long. It's ghastly. Until 2006, Google Earth and NASA World Wind images were no improvement. The next shot is from Google Earth, taken in January 2007 from a similar angle. The difference is evident. Lhotse is in the foreground on the right; Everest is behind it and to its left, and they are separated by the South Col in the correct manner. But the splendidly high resolution image is still affected by a slight mismatch with the topography. The topography is placed 3" too far north (as it is everywhere on Google Earth); the image also appears to be displaced. 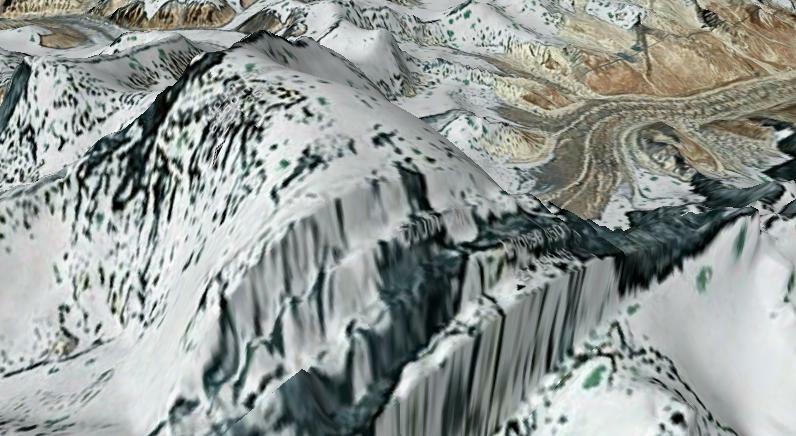 (The hi-res image of nearby Annapurna is definitely displaced). The next shot is from NASA World Wind, from the west. 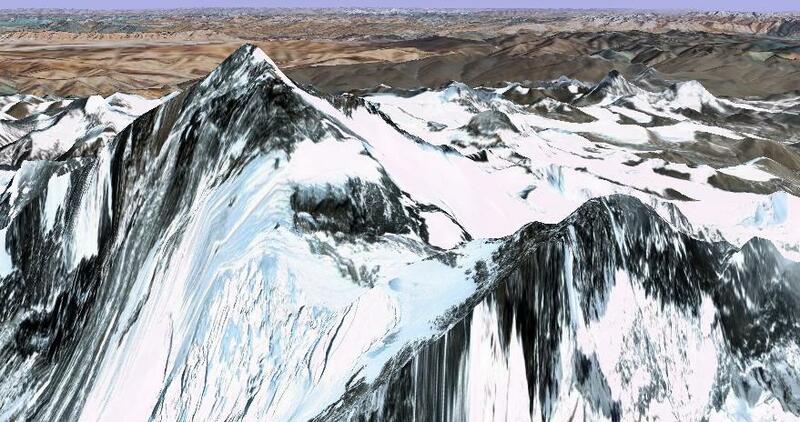 There is no hi-res image, but the South Col, between Everest (left) and Lhotse (right), can be seen. Note also accurate views of Makalu (far right) and Kangchenjunga (right, background). Note also the degree grid lines, but they are not accurately displayed. Everest lies south of 28�N. The fourth shot is a flight simulation image using photoreal textures by Holger Sandmann and DEM data from my DEM page. The next two images show contours around Mount Everest and Lhotse, derived from (a) interpolation and GTOPO30, and (b) my DEM page. Image (a) shows neither 8,516m Lhotse as a separate mountain, nor the 7,907m South Col that lies between Lhotse and Everest. My thanks to Roger von Hentig for the source Garmin IMG files.